"UFO Society" You just made my day. No need to enter me in the giveaway, but these appear to be great tips and suggestions she gives in her book. Quilt on! This is a great book. I've certainly been inspired. My tip would be - don't forget to breath and relax! I would like to learn how to plan continuous quilting across a quilt. The less threads to bury, the better. I want to learn how to keep my stitches even. That's my biggest fear that the stitches will be all over the place. I would like to learn which design to use on each quilt to make it more appealing to the eye. 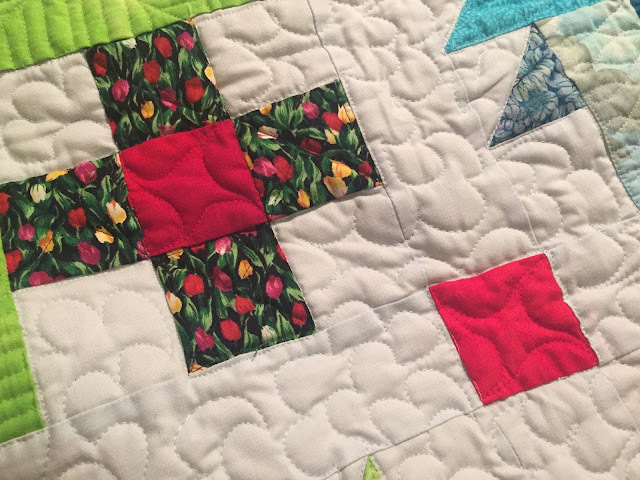 I like the idea of continuous quilting, as burying threads can be a pain. I have been longarming for a few years, but you just never know when someone else has a great design or tip! 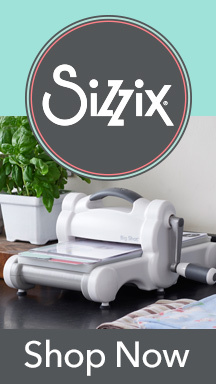 I am very new to FMQ, so I'm pretty much a blank slate. 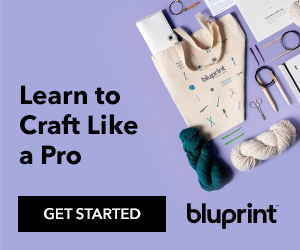 Even the basics of making a quilting plan for the entire quilt top will be very helpful to me, and not having to bury all those threads sounds like a fantastic gift. 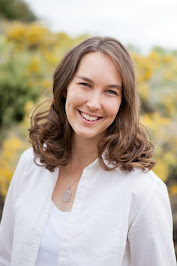 I follow your blog by email (wordygirl at earthlink dot net). There is so much for me to learn -- how to move over the quilt without getting trapped, design, keeping stitches even. This looks like a great resource! I find that I have difficulty transitioning from a test block to the actual quilt. I do have a table set behind my machine to hold the weight but it's a challenge to maneuver the quilt under the needle. I receive your posts via e-mail. I want something that will make the job seem like fun. This book may do that for me. I too have UFO's I need to finish by quilting. I like this concept of continuous quilting and not having to stop and start new threads. 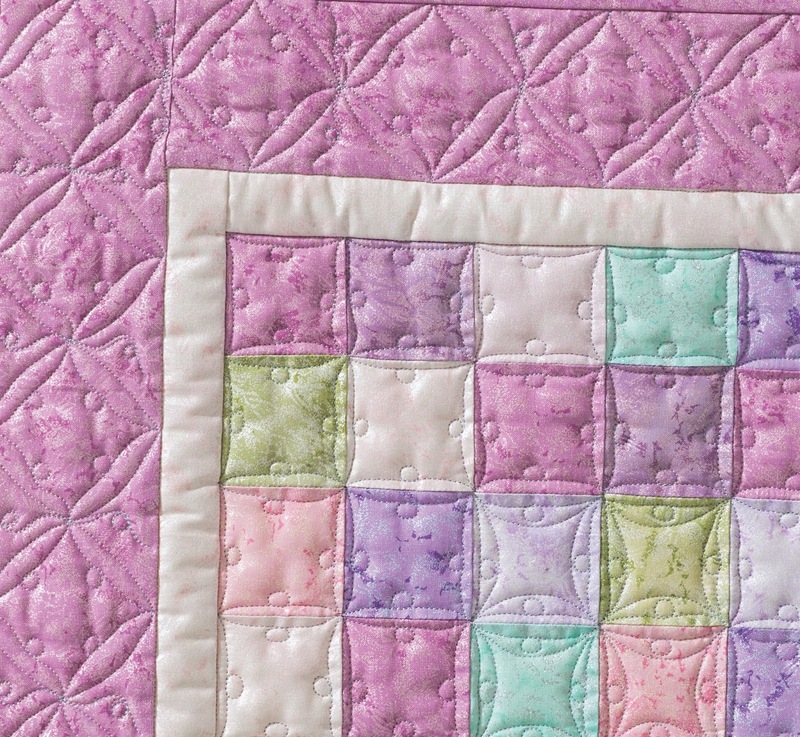 I love the idea of continuous quilting. 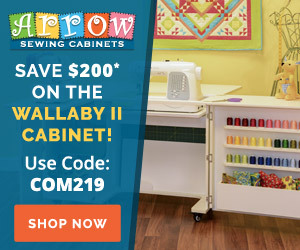 I am looking for techniques to help me get more comfortable with FMQ on my domestic machine. Very nice variety of quilting on this. Enjoyed the video too! I am new to this so I need to learn everything. For example I have a block in front of me what do I do. I have lots of ufo's. My tip is draw out a plan. Then practice, practice, practice. 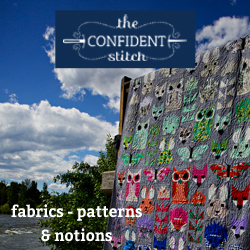 My tip is that you have better control over your stitches if you relax and slow down. I need to jump back in and practice practice practice! I'd like to learn to wing it. Right now I can only produce acceptable results if I follow a marked line or a ruler. 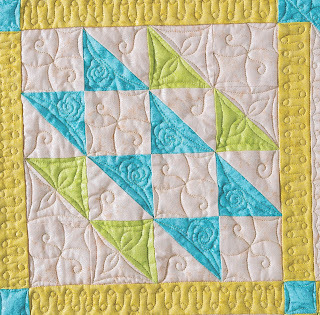 I want to learn everything about deciding what to quilt in each block or to just do an all over quilting design. I want to learn some beginner techniques. I have done meandering, but would love to try some other designs. I like to use a clear plexiglass with dry erase marker to lay over my quilt to "test drive" a design before I actually sew it. 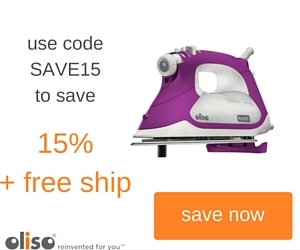 Saves a lot of ripping!! 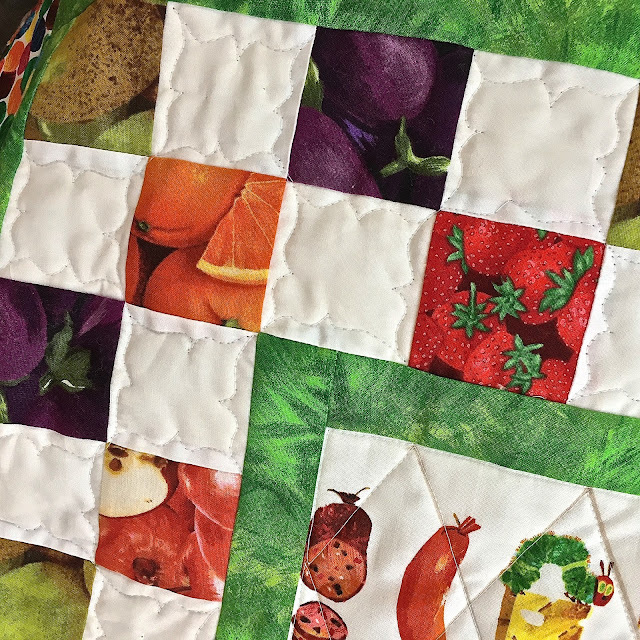 Your quilting designs are great. Thanks for sharing the excellent giveaway too. I'd like to learn free motion feathers. I am excited to learn to travel over the quilt with a quilting design starting and stopping at the same point. Right now I do mostly meandering. I'm not a real accurate FMQ and that's what I'd like to learn. I can do a lot of the designs but they aren't crisp and professional looking. Thanks. I really like those Connecting Brackets design! Good work on those UFOs and checking them off the list, too! I know practice is what's needed here to avoid the jerky and skipped stitches I get so often. I'm hoping this book would help! Would love to own that book. 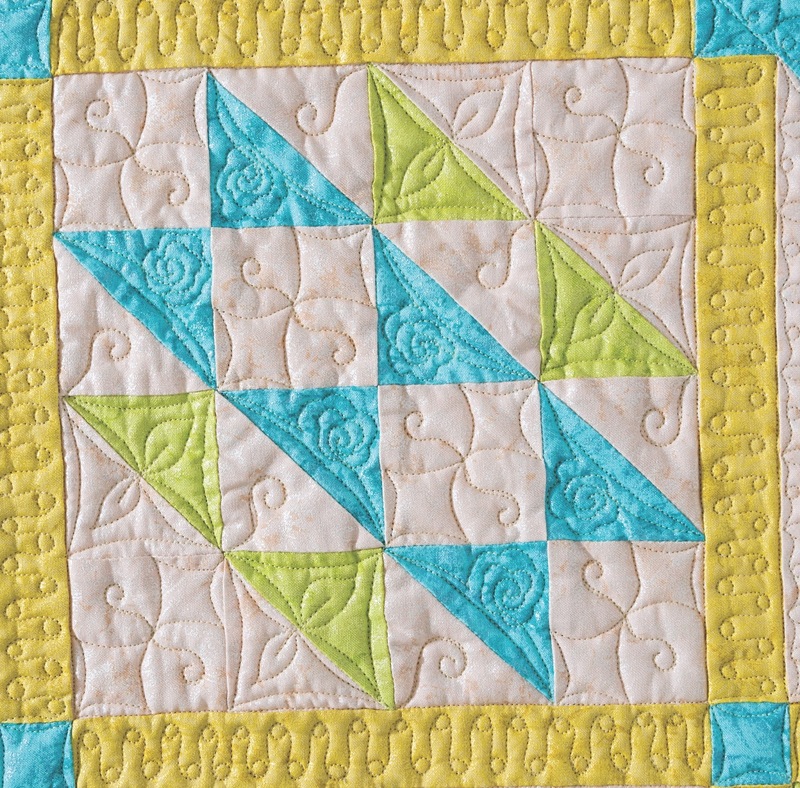 With FMQ, I also struggle with not getting "stuck" into my standard go-to, allover meandering. It is pretty, but would love to venture into some new quilting designs. 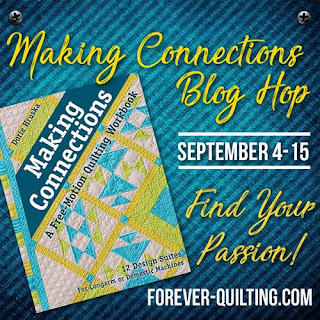 I struggle with how to make my quilting more continuous and not quilt myself into corners which is why I have to have this book! Please pick me!!! 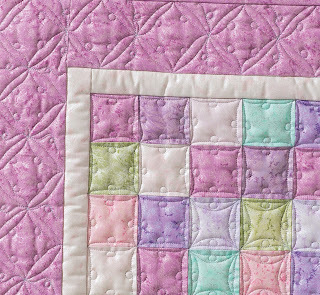 Well, I'd like to be able to quilt great designs with fewer starts and stops. That means less ends to tie off and bury. Thanks for the opportunity. 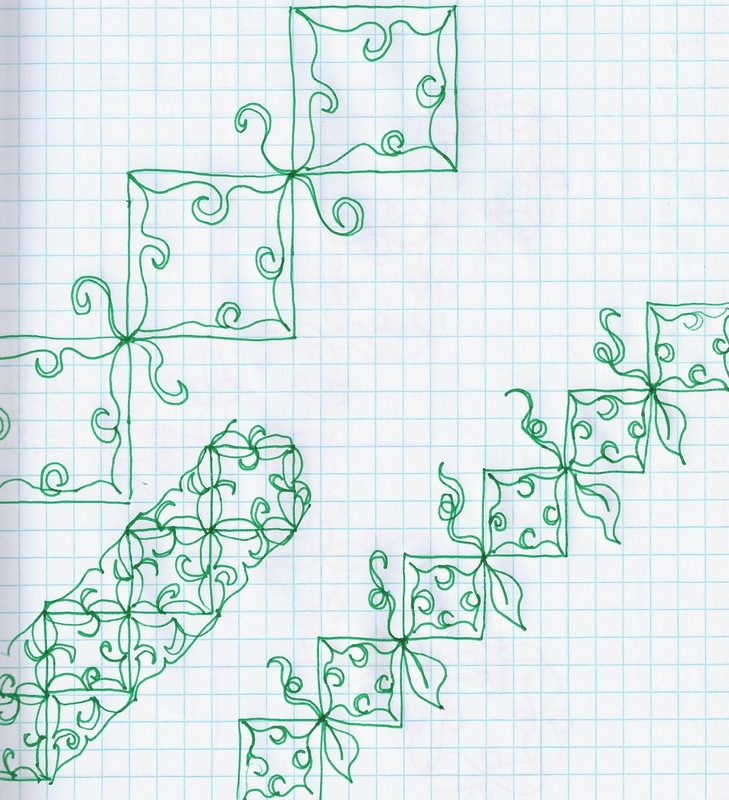 I would like to get more FMQ motifs into muscle memory. Quilting more continuously would definitely go a long way towards this goal! I need to learn continuous design quilting, so I don't have to backtrack or stitch in the ditch to move around. Dorie's book sounds like just what I need! I haven't yet tried FMQ so this book would probably be helpful. 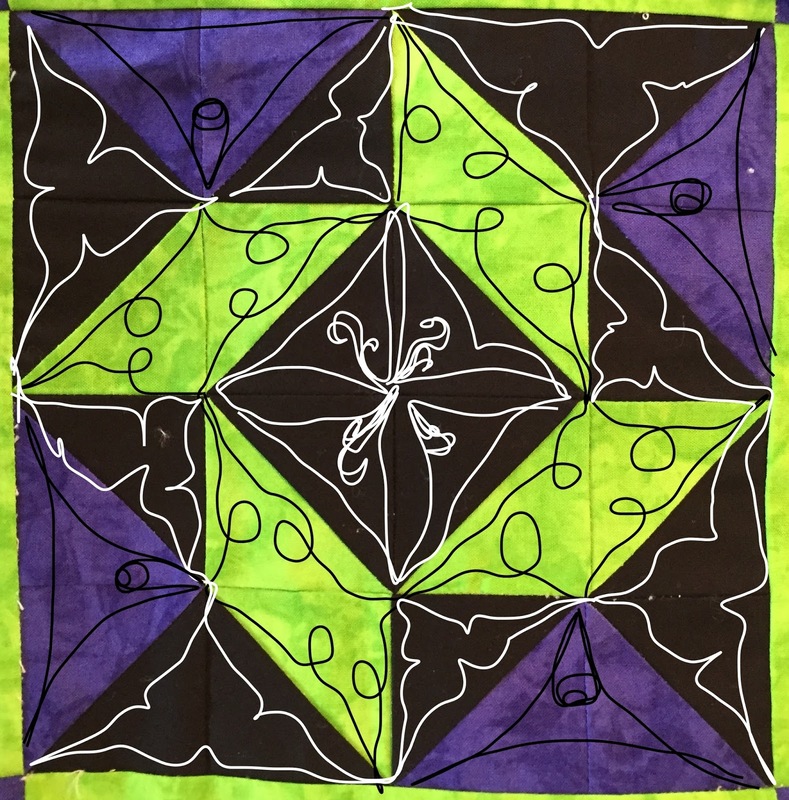 I'm always eager to learn new continuous quilting designs. This book sounds like just what I need! I would like to improve selection of quilting designs for different projects. Think I'm late coming. But this ties in nicely with my current objective to begin with the end in mind!